Our STEM Curriculum: Making amazing thinking possible with STEM. STEM is a fundamental part of Kiddie Academy’s Life Essentials® curriculum The curiosity young children have about our increasingly automated and globally interdependent world is natural and powerful. The science, technology, engineering and math (STEM) skills required to excel in that world have launched a renewed spirit of exploration. 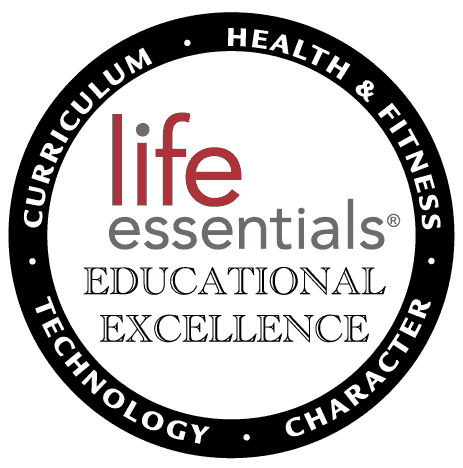 Our Life Essentials® curriculum is the ideal springboard for beginning STEM education from an early age. It’s the product of Kiddie Academy’s commitment to nurturing the next generation of physicians, engineers, computer scientists, mathematicians and critical thinkers. We’re using STEM to build great thinkers. 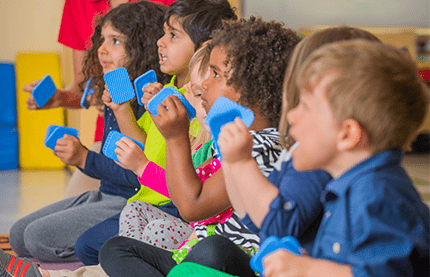 Because early learning themes naturally relate to scientific exploration, we instill STEM education throughout our proprietary Life Essentials® curriculum. Our teachers go beyond basic activities by questioning and encouraging children to independently explore, discover, manipulate and experiment. While they’re playing and solving problems, they’re being challenged to put their thinking into words. This is where the natural world comes to life. Time is spent observing and exploring, using the senses, studying plants, animals, health, the human body, seasons and weather. 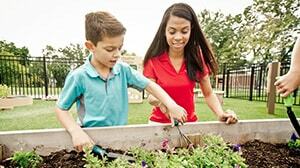 Children investigate a range of digital and non-digital tools that meet the essential human demand to make life simpler. They demonstrate and interact with simple technology and more advanced tools, devices and equipment to complement a variety of learnings . How do the things that shape our everyday world operate? 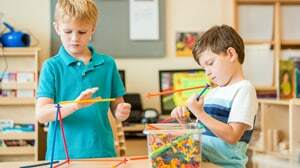 Children interact with a variety of materials to design, create and take apart, while building an early understanding of how things work, and how to make them work better. Children interact with patterns, numbers and quantities—organizing data, interpreting and comparing sizes and shapes. Additionally, they absorb the concepts that give relevance to time and money. JOIN US FOR MUSIC & MORE! Join us on Saturday, May 4 at 10am for our Music & More event! We invite all children and parents to Kiddie Academy where you'll be immersed in the arts through different age-appropriate dance, art and music activities. This event is FREE and open to everyone — bring a friend or two.